The mother of all EL84 based combo amps. It’s the Beatles amp. I’ve been an AC 30 player for many years though mine were never top boosts. 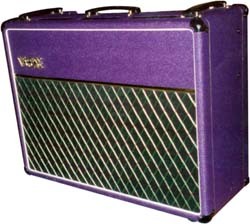 Vox made about six or seven varieties of this amp all with minor differences not counting the reissues. The internal voltages tend to run too high when you plug them into American (120VAC) power, especially in Nashville, TN where mains can be closer to 130 volts in some parts of town!The AC 30 is often flaunted as a “Class A” amp. In reality it is not Class A but close to it, and they do run hot enough to melt the wax out of the transformers! Add to that – the air convection is less than adequate. The early back panel top boost models were originally offered as a retrofit kit – typically installed by dealers. This explains the inconsistency and often sloppy fit of the early top boost models. Top Boost models tend to hum a bit more as well. 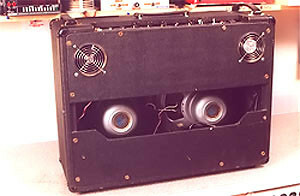 The original JMI Alnico silver or blue speakers are the best sounding guitar speakers ever – rated @ 15 watts each. If yours are blown, we can help. Our re-coner knows what to do. If you play an AC 30 then you know all this stuff and you live with the reliability issues because when they are working right – they sound amazing! So what can we do for your AC 30? We can make the one’s that don’t sound that great – sound great. We could set you up with a standard filter cap job. We promise not to ruin your Mullard GZ34 rectifier tube with stupid amounts of filter capacitance which won’t really reduce your hum or tighten up the bottom end anyway. This is an inherent characteristic of the AC 30. The only way to reduce it is to increase the first filter cap value. Although this will reduce the notorious AC 30 ghost a little, it won’t eliminate it. Adding enough filtering to eliminate the ghost noting would put too much stress on your rectifier tube so we really have a small window of diminishing return. Also, increasing the first filter value will tighten the amp up a bit, changing the classic sag/compression factor. We can do whatever you like us to do but our recommendation is to stick with the original first cap value and make friends with the magic ghost. You’ll never hear it on stage with a band nor are you ever likely to dig it out of a recording mix. 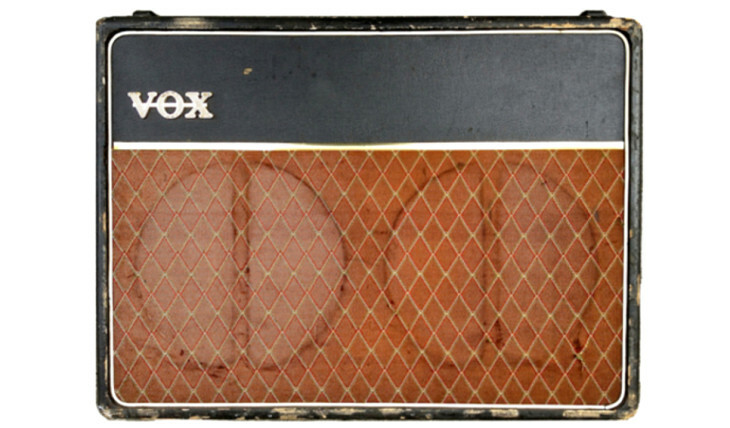 Hence, the AC 30 is probably not a first choice amp for solo guitar gigs! Re-do grounding scheme for improved hum levels. Select & install best tubes including a quad of well-matched (essential) lower quiescent current power tubes. We can install a small bucking transformer internally next to the existing power transformer – usually in existing chassis holes. The added weight is but a few additional ounces. Our bucking circuit effectively reduces your AC 30’s line voltage feed by about 8 volts, which puts the secondary internal operating voltages closer to where they need to be with today’s EL84’s. There are other methods to cool down the output tubes (bias alteration, alternate rectifier tube type, screen grid supply adjust) but they tend to degrade the magic sound of this amp. Our experience has led us to the line bucking circuit which will cool down the amp while retaining the original quality and character. You do lose a few measurable watts but the difference between 30 W and 27 W to the ear is virtually undetectable. We could also replace your back panel with one that has a fan in it to move some air through the hot little beast. (save your original back panel for originality sake). However, since we have been employing the line bucking circuit described above, this option has become less necessary. Still not a bad idea to add some air convection to this amp if you want to go the full treatment toward keeping this amp healthy. Relocate mains and HT fuses at rear panel with standard size fuses. Re-do ground scheme for improved hum levels. Replace key components with selected best types in key spots for improved tone & response.